Red & Blue Anodized Lightweight Aluminum Construction. Available for Any Plumbing Situation And Many Custom Applications. Earl's Performance AN to tube adapter fittings are manufactured from quality aluminum. 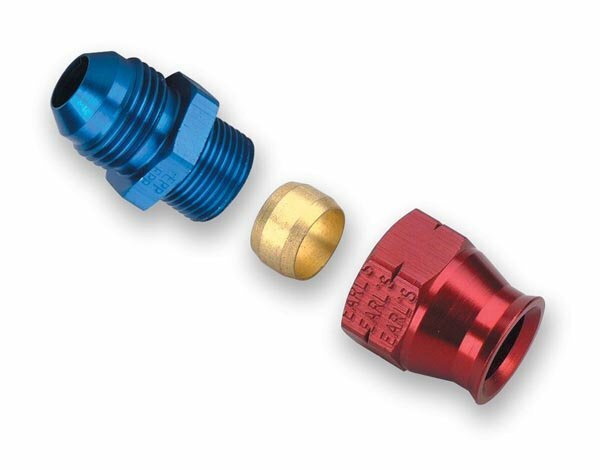 These adapter fittings were originally designed to meet the needs of the racing industry, but will work with any low-pressure application to adapt aluminum, steel, copper, copper/nickel, or stainless tubing to AN-type fittings.